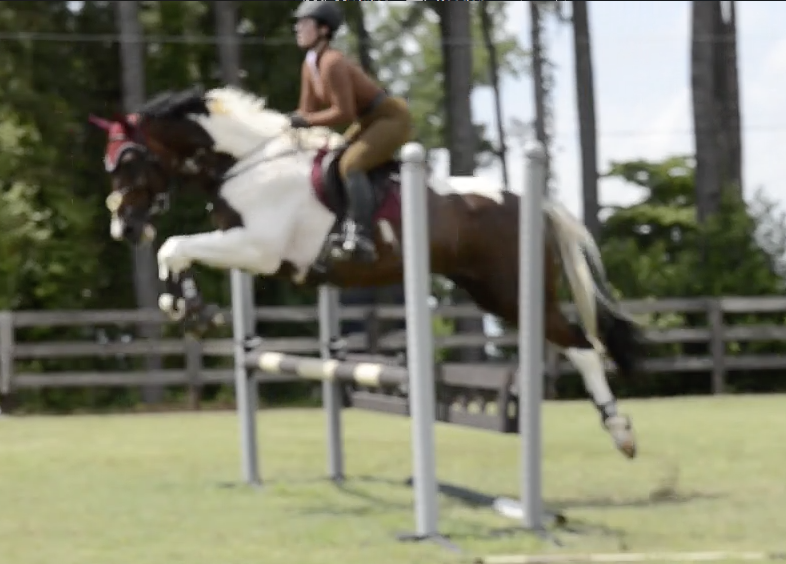 I’m still coming down from Cloud 9 thinking about our showjumping lesson Saturday, which took place in a beautiful jump field in Southern Pines. Walking Foster from the barn to the field, it was obvious that he was amped. He couldn’t wait to get started, and refused to be distracted by the busy road or the scary tarp jump. Bobby watched us warm up so he could check out my position and Foster’s way of going. Immediately he picked up on the fact that Foster gets a bit overbent and hollow going right, and therefore is harder to bend left- yes, yes, and more yes. 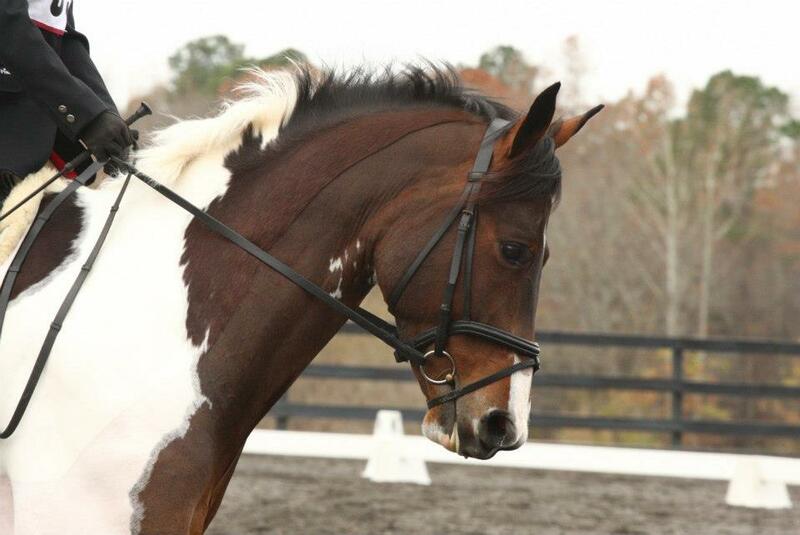 So we talked about riding him more straight to the right and really asking for the left bend. I was shocked to hear that he liked my own position a lot and thought I was solid with my legs, but throughout the lesson did ask that I keep a very light seat if I was going to sit. Without losing time we moved straight into the gymnastics. At first it was just a small fence with a placing pole, and Foster wanted to play a bit with all that energy- I think he was just so happy to be out and doing it all again! 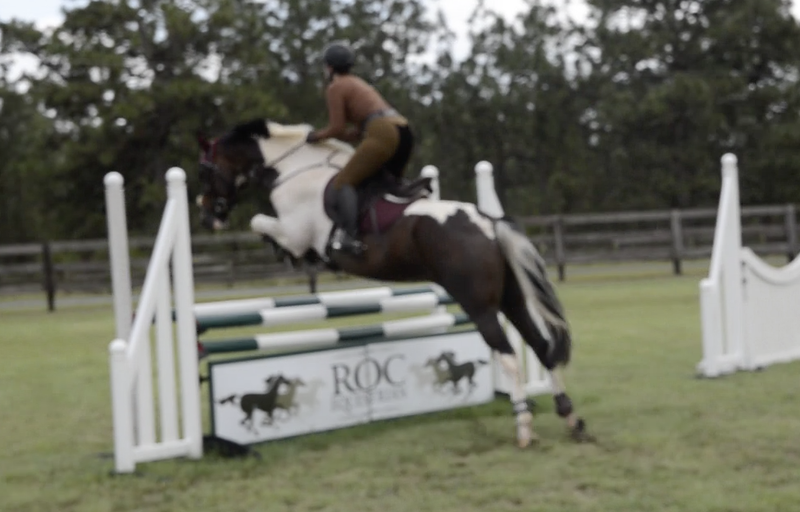 But the small fence quickly progressed into a full gymnastic, that was slowly built up to a placing pole/vertical/onstride/cavaletti oxer/one stride/oxer/one stride/cavaletti bounce/one stride/vertical/placing pole. Each time I was directed to halt at the end, and at first this was difficult, but we were able to make it happen more and more easily as the lesson progressed. Through the gymnastic we talked about where to check him as he tried to rush through, how to get that halt at the end, and fixing a right drift that kept creeping in through the middle of the exercise. After getting a really good go through the final gymnastic we moved on to single fences/courses. Of course I decided to show off my love for chippy distances the very first thing, but the re-approach was much better. Because of my last lesson doing everything with bend, I was initially inclined to put the first fence on a circle. But Bobby noted that he looked like he was actually caught off balance when I did so, and preferred that I ride straight lines for now to allow Foster a chance to balance himself and get his shoulders square. He did say that there is a time and a place for riding with a lot of bend, and often that was for teaching the horse to land on the correct lead (as we were doing in that lesson). Much of the conversation that we had was about the pace, and that before the fence I could add to or maintain the pace/canter, but was never to hold for the spot. Focusing on the canter also stopped me from pumping as much, or “making any big move” before the fence as Bobby put it, that would throw Foster off balance by distracting him. Another point he made was in talking about those fences course designers love, the lonely single with the long approach. He said though it’s tempting, do not even think about a distance until you are four strides out. Instead, think about the quality of the canter until you get much closer. At the end of the lesson I asked if I could retry the skinny gate, since I’d been having a hard time finding a distance to it, and was so happy when he sailed over from the perfect spot. This lesson was huge for both Foster and I’s confidence, and all in all he felt like a showjumping machine. I do see plenty of things for myself to work on, such as folding at the hips and maintaining a light seat, but for not having jumped so much this year I’m pretty pleased with where we are now. Tomorrow- sadly no video, but we’ll discuss the XC lesson! ahhh you guys look fabulous!!! love the videos too! interesting points about the lonely single with the long approach (my nemesis lol) – i’ll have to remember that esp as i’ve been noticing myself getting more and more busy and handsy in my approaches… can’t wait to hear about the xc lesson! This is so insanely cool! My gymnastic-loving self is absolutely drooling over that grid, it just keeps going! And a really really good point about the long approach. Those videos are amazing!!!! Fosterpants looks awesome!! This sounds like a very productive and fun lesson. I too am loving the grid! Exciting! You both look brilliant! I’m happy for you that you had a fantastic lesson. Ughh his knees are dreamy! You guys are looking great! Sound like a great experience. Thanks! Still excited about that SJ lesson! Haha Funnily enough, I shot Bobby an email yesterday… Crossing my fingers that I can get a lesson with him sometime soon- but first I’m seeing if he even teaches baby ponies! That will be cool! I love watching him. Lots of fancy horses in this neck of the woods!